History: Auburn University at Montgomery was founded in 1967 to provide a highly qualiﬁed workforce to Montgomery, the River Region and the state. AUM continues its close partnerships and collaborations with local and state businesses, nonproﬁts and government today. From its ﬁrst building on 500 acres of pastureland in East Montgomery off Interstate 85, AUM now boasts some 15 buildings on its lush and wooded campus, including the iconic 10-story Ida Belle Young Library Tower, 4 new and newly renovated residence halls, and classroom and lab accommodations for students in its 90-plus academic programs. Chancellor Carl A. Stockton governs AUM with oversight from the Auburn University Board of Trustees. Mission: AUM provides quality and diverse educational opportunities at the undergraduate and graduate levels through on-campus, online and hybrid courses and degree programs. The University fosters and supports an environment conducive to teaching, research, scholarship and collaboration with government agencies, our community and other educational institutions. Student Life: AUM students learn and build professional networks in a college setting with strong social and cultural connections. 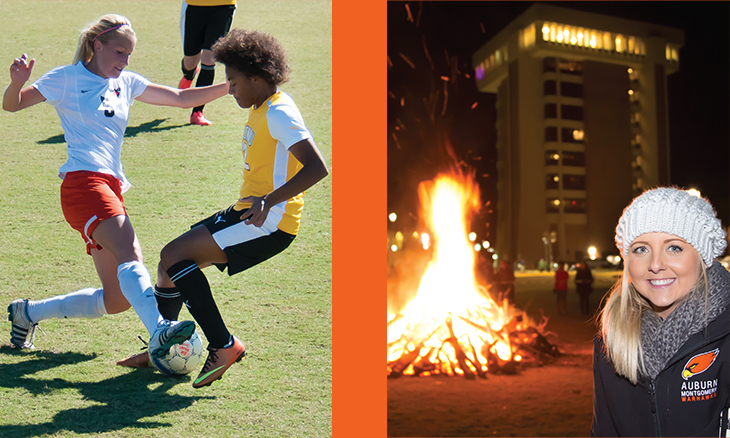 AUM offers more than 60 student clubs and organizations, including Greek Life, academic and special interest clubs, a University Honors Program and 8 honor societies, intramural sports, and Study Abroad (the third largest program in the state by percentage in 2017). Our state-of-the-art Wellness Center is a busy ﬁtness and social hub. We’ve got spirit, too! The AUM Warhawks — named by students to honor AUM’s long history and partnership with local military — hold more than 25 national championships across the University’s 11 varsity sports: Men’s and women’s basketball, cross country, soccer and tennis; women’s volleyball; and baseball and softball. AUM began NCAA Division II play during the 2016–17 season. The Logan Project’s NSF-funded work to make STEM learning and careers more accessible to students with disabilities, make AUM and exciting place to ﬁnd your learning and career opportunity. Top Majors: Nursing, biology, business & management, computer science, elementary and secondary education, liberal arts, physical sciences, geographic information systems, homeland security & emergency management, criminal justice, medical lab science, and accounting. 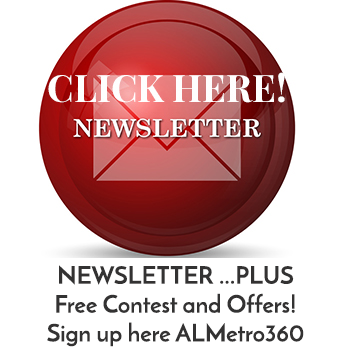 Visit www.aum.edu or call 334-244-3615.